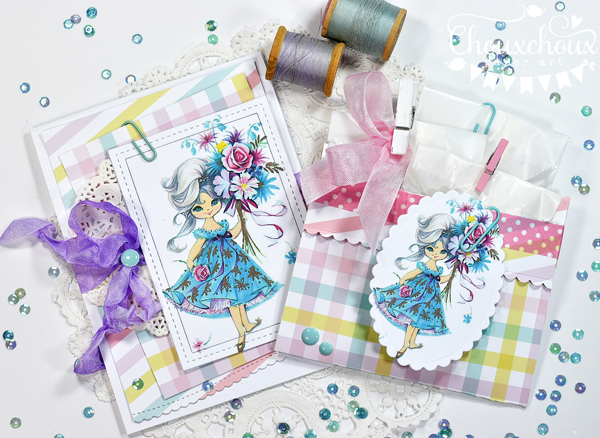 Lori Hairston: Flap Pocket Video + Flower Girl Printable + Winner! 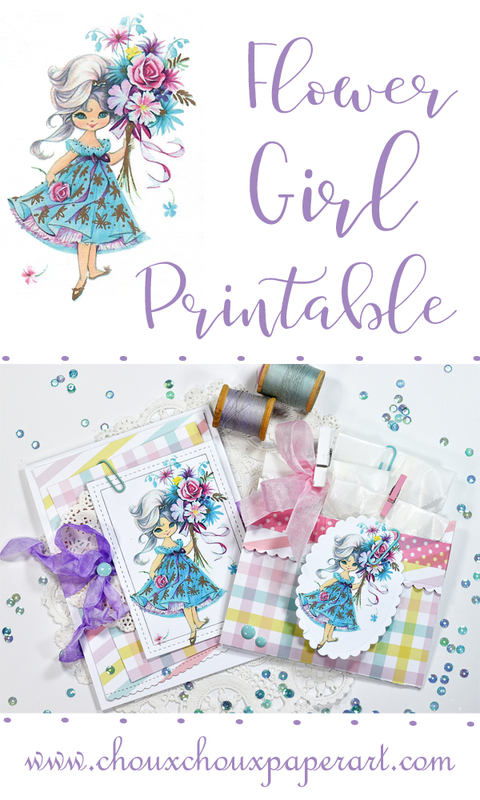 Flap Pocket Video + Flower Girl Printable + Winner! Hi, there! Have you had a lovely week? Mine was a bit tense in the middle. My daughter and her husband moved to Denver on Wednesday and they had a bit of trouble on the road. Two blown out tires on the rental trailer! I finally breathed about 9:30 that night when they finally arrived safe and sound. I spent a lot of that time creating these projects to take my mind off the travelers and what can happen on the road. I created the card first. Don't you think she'd be perfect for a friend, mom, or daughter? You could probably come up with a lot of ideas for which she'd be just perfect! I think this girl is just the sweetest! I've got her all ready to download in two sizes. This one is the largest and I used a frame to cut her out. on the back. It's really easy to make, see the video below. 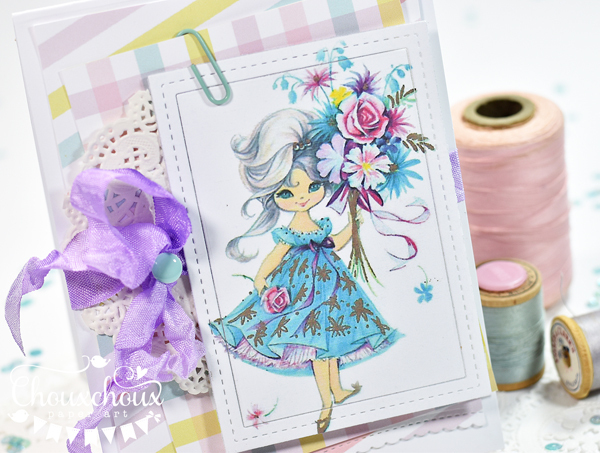 Download the Flower Girl HERE. Dropbox seems to work differently for different people. When image appears, wait a moment and a download button will appear in the top right corner. If download button does not appear, right click on the image and save as. I'm always happy to email the image to you, if neither one works! Congratulations, Mitra! Email me and I'll send you the info you need to redeem your certificate. Well, I've heard from Lauren and they seem to be settling in. So, I'm looking forward to a more relaxed week coming up. You have a relaxed and wonderful week, too! So glad that your doughter and her husband have travelled safe and sound! 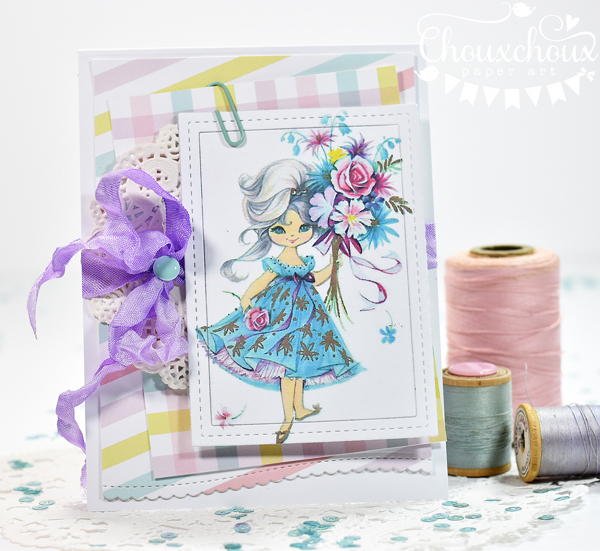 Love both your projects, the card is so sweet and the pocket looks fun and also very useful for little gifts! Such a cute flower girl, thanks so much for sharing this image! So glad they made it safe & sound in spite of the tire trouble! You do find absolutely the cutest images, Lori! 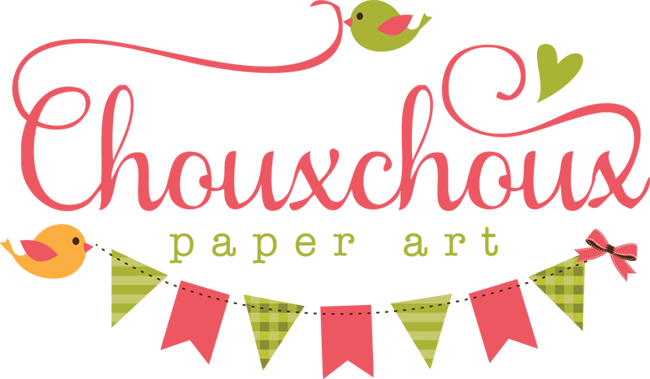 I really love how you cut out the larger one & the doily & colored clothespins are such great elements! Hope your week is much calmer. Your makes are adorable and the image is so darn cute. This is such an adorable image!!! And I love your card and pocket!!! So cute! Wonderful video Lori - I don't think chocolate could be any sweeter than you!!! You do not look or sound old enough to have a married daughter!! 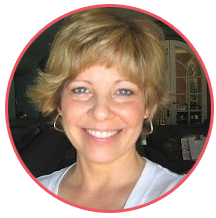 Your projects always make me so happy, Lori! Love your sweet, feminine style to pieces! This little flower girl is so adorable. Love her with your die cut frame, and with the scalloped one, too. And seriously, what sweet paper! That plaid is stealing my heart! So glad the move went well after that rocky start on the road. I know that was a tough day for you! 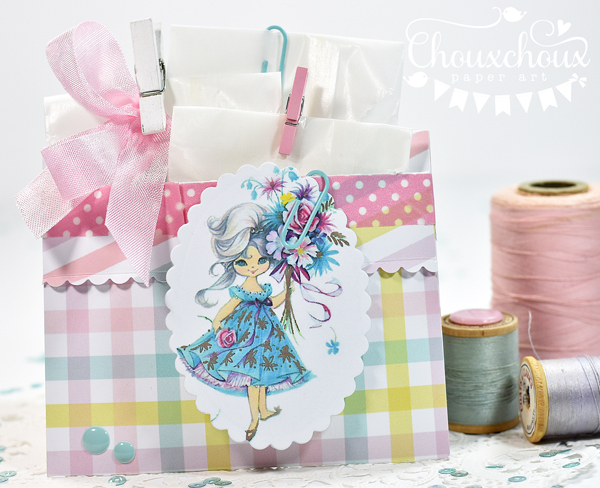 Your bag and card are super cute, Lori! I enjoyed your video too! Thanks for the download - I love retro images! Congrats to that lucky duck, Mitra, on the win! I am SO EXCITED! I had a bit of a rough day with a scoop of whip cream and sprinkles at the very end!!! I'm emailing you now! totally made my day! Gorgeous creations Lori! I love that sweet, colorful image! Oh my! I'm so sorry to read about your daughter and her husband's stressful trip to Denver but thrilled that they eventually arrived safely. 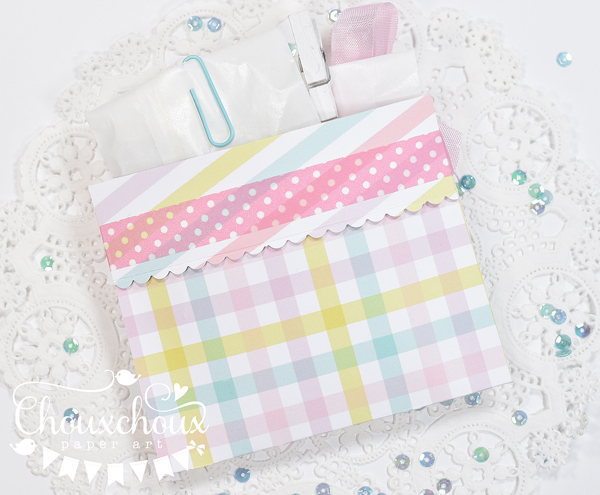 Your card and gift bag are fabulous! Such a beautiful image! Woo hoo Mitra! And as always Lori your creations are soooo beautiful! That flower girl...what a gorgeous image...and the colors so pretty...Happy Friday!